Update: The deadline for all comments is fast approaching! Bears’ Ears comments are reopened, so if you missed out before, please send one in now. Meanwhile, read on for my two cents regarding some of the other monuments in question. Please keep the current designation of Grand Staircase-Escalante National Monument unchanged. I have been visiting the monuemnt for well over half my life, both as a backcountry hiker and more recently with a toddler in tow. The scenery and recreational value of the area’s canyon landscapes is easily equal to the best of our National Parks. The less-visited Kaiparowits Plateau section of the monument is equally important thanks to its abundance of dinosaur fossils, a scientific resource of global importance. Over 300 different dinosaur species have been unearthed within Grand Staircase-Escalante National Monument, 20 of them newly-discovered species. The monument’s substantial size is necessary and appropriate to protect its recreational potential and its scientific and historic sites, particularly those that have not yet been discovered. With 20 years of data in hand since the monument’s designation, it’s economic benefits to the region are clear. From 2001 to 2015 in Kane and Garfield Counties, population has grown by 13%, jobs have grown by 24% and per capita income has grown by 17%, while non-service jobs have held nearly steady. These are not the statistics of an area that has been severely damaged by the monument. Many local businesspeople and residents have spoken in favor of the monument, and the state of Utah itself actively promotes tourism to the area. The rationale for the original designation remains solid today, and 20 years of protection have demonstrated the wisdom of that choice. Please allow the Grand Staircase-Escalante National Monument to stand as is! Please keep the boundaries of Vermilion Cliffs National Monument as currently designated. I have been visiting the Paria Canyon and Buckskin Gulch for over 25 years, since before the monument was designated. Generations of recreationists have voted with their feet for the value of these landscapes, as evidenced by the fact that these hikes, as well as the Wave, White Pocket and Coyote Buttes, are among the most coveted destinations in the Four Corners states, staples of guidebooks and promotional brochures, locations that many people visit in favor of more famous nearby parks such as Zion and the Grand Canyon. These are indisputably world-class scenic and recreational areas. The area’s 12,000 years of human historical sites from Paleoindians to Mormon pioneers, rich biology and California condor habitat also amply justify the monument designation. The monument’s generous acreage is absolutely appropriate for preservation of resources of such abundance and quality. The ongoing use of monument lands for grazing, hunting and off-road driving indicate that the land is not in any way “locked up” to responsible use. Since the monument’s designation 17 years ago, the economies, populations an per capita income in Coconino and neighboring Kane Counties have grown substantially. In light of such data and the excellence of the resources at stake, it is clear that Vermilion Cliffs National Monument was a wise designation and should stand as is. Please maintain the boundaries of Nevada’s Basin and Range National Monument as currently designated. Tourism and outdoor recreation are increasingly important in southern Nevada as the region diversifies its economy and serves a growing population. The high density of rock art and archaeological sites makes Basin and Range a landscape suitable for protection under the Antiquities Act, as does its biological diversity. Previously unknown archaeological sites are found in virtually every new survey in this region, and the recent discovery of a new amphibian species elsewhere in Nevada reminds us that much still remains to be discovered in this part of the world. Wide open spaces are very dear to Nevadans and are a valuable resource to remind all Americans of our nation’s history and character. As populations grow and development spreads in these areas, particularly renewable energy development, unimpacted valleys like those in Lincoln and Nye Counties become themselves objects of significant scientific interest, and protection of large acreage is fitting and necessary. Nevadans support public lands protections by wide margins, and with existing rights and recreation protected by the monument proclamation, this is no land grab. The Las Vegas Metro Chamber of Commerce, the Las Vegas Convention and Visitors Authority, and a number of major employers including MGM Resorts International, the largest employer in Nevada, supported the establishment of Basin and Range as a National Monument. Please allow Basin and Range National Monument to stand as originally designated. Please maintain the boundaries of Gold Butte National Monument in Nevada as currently designated. Though Las Vegas is a major tourism hub and outdoor recreation is increasingly important to southern Nevada’s economy, Nevada remains under-served in officially protected lands compared to surrounding southwestern states. The geologic interest in the intersection of Colorado Plateau geology with Basin and Range tectonic forces is of major scientific significance, and when combined with the monument’s paleontologic, archaeologic, biologic, scenic and recreational values, the monument designation is well justified. Only a large acreage will suffice to protect Gold Butte’s undiscovered resources, as well as the open space and sense of exploration that draw visitors to the area. The monument’s current large acreage is fully appropriate. Though Gold Butte has seen high-profile controversy, it has major local support among Clark County residents and Nevadans generally. Polls conducted in 2012, 2016, and 2017, reported that 63 percent, 71 percent and 63 percent of Nevadans, respectively, across party lines, supported a National Conservation Area or National Monument designation. The Mesquite City Council passed two resolutions in 2009 and 2010 supporting preservation of the natural and cultural resources in Gold Butte. The Clark County Commission, Las Vegas Paiute Tribe and Moapa Band of Paiutes also approved resolutions of support in 2010. Public meetings were held and well attended. A 2015 analysis of the potential economic benefits found that if only 10 percent of new visitors attracted to Gold Butte stay in Mesquite, the total economic gain for the city would be $2.7 million per year. Gold Butte National Monument is an excellent opportunity both to protect a highly worthy landscape and to strengthen Nevada’s position in the tourism and outdoor recreation markets, and its designation should be allowed to stand as proclaimed. Please maintain the boundaries of California’s Giant Sequoia National Monument as currently designated. Sequoias are the world’s largest organisms and some of the longest-lived, and as such their scientific and historic value is self-evident. Over half of the world’s remaining sequoia groves are located within the current monument boundaries. 353,000 acres, while it may sound large, is by no means excessive to protect such a large number of sequoia groves, and the monument’s boundaries are already quite gerrymandered and do not encompass more land than is necessary to preserve the groves in their natural setting. Furthermore, the protected lands surrounding the groves contain many hiking trails, campgrounds, waterfalls and rock climbing areas, all of which deserve protection in their own right and contribute to the region’s outdoor recreation economy. Travel and tourism contributed over 55,000 jobs to the Giant Sequoia region in 2015. Outdoor recreation and landscape preservation are both highly popular in California, and the southern Sierra mountains in Kern County in particular are lacking in protected landscapes compared to the more famous National Parks and wilderness areas further north. Giant Sequoia National Monument makes excellent scientific and economic sense, and it’s status should remain as currently designated. Please maintain the boundaries of Rio Grande del Norte National Monument in New Mexico as originally designated. I am a native-born New Mexican with family still in the state, and the resources which the monument protects are highly valued in northern New Mexico. Hunting, fishing, pine nut and firewood harvesting, and grazing are important to the area’s Hispanic and Native American residents, and are explicitly protected by the monument proclamation, while hiking, natural history, hot springs and whitewater rafting are valuable contributors to economies of Taos, Rio Arriba and Santa Fe Counties. Travel and tourism accounts for 39% of Taos County employment. During the monument’s first year, the Bureau of Land Management registered a 40% increase in tourism, while nearby Taos received a 21% increase in lodging tax revenue. New Mexico’s landscapes remain under-protected compared to the other Four Corners states, and the Rio Grande Gorge in the monument is one of the state’s premier attractions. The monument’s archeological and rock art sites, in addition to their scientific value, are important connections to all New Mexicans to our state’s deep and diverse human history. The monument’s acreage is appropriate both to protect its scientific resources and to preserve the sweeping views and open space which attract recreationists to the area. During the process leading to monument designation, local support in northern New Mexico was widespread, and local concerns, particularly of the Hispanic and Native American communities, played a major role in shaping the monument proclamation. Post-designation, the region’s tourism economy has thrived and Taos County’s per capita income grew by 27% from 2001 to 2015. 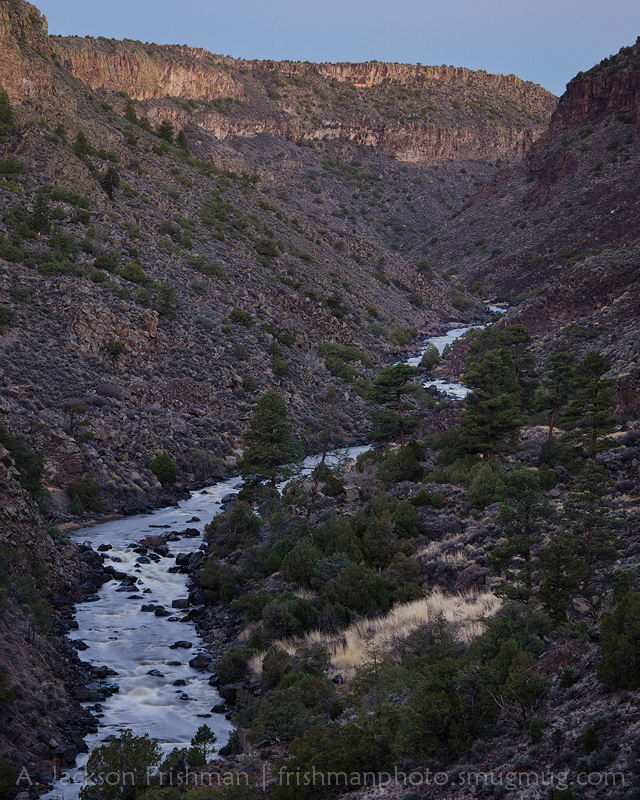 Rio Grande del Norte National Monument serves as both an important economic benefit and as a vital connection to New Mexico’s diverse history, and it should be allowed to stand as designated. Please uphold the boundaries of Organ Mountains-Desert Peaks National Monument as currently designated. I am a native-born New Mexican with family in southern New Mexico, and the value of these desert lands to my recreational opportunities and my sense of new Mexican heritage is immense. Open spaces, hunting and undeveloped recreation are very important to New Mexicans both personally and economically, and Organ Mountains-Desert Peaks National Monument protects these resources close to the state’s second-largest urban area. Travel and tourism support over 9,500 jobs in Dona Ana County, about 19% of total private wage and salary employment. Despite the importance of tourism and outdoor recreation to New Mexico’s economy, to the tune of $6 billion, it has substantially fewer protected areas than neighboring Four Corners states, and the southern half of the state similarly lags behind the north in designated attractions. The monument’s large acreage is entirely appropriate for preserving the large number of archeological, biological, historic and recreation resources within its boundaries. There has been plenty of history of public support for protection of these lands, including from former Republican Senator Pete Domenici, as well as from my conservative family, hunters and sportsmen. Many Dona Ana County residents and businesses spoke in favor of the monument during the designation process, and data indicates that the monument has brought economic benefits to the region post designation. Please allow Organ Mountains-Desert Peaks National Monument to stand as is! This long view from the Black Range to the Organs is all I’ve got photographically, but if you need more inspiration, Wayne Suggs is your man. Anyone who follows conservation news at all has heard by now about the review of National Monuments currently being conducted by the Trump administration. I will of course be sharing my opinion with the BLM. I’ll be commenting on a number of monuments with which I’m personally familiar, starting with Utah’s Bears Ears, which has by far the tightest deadline to submit comments. Please do the same by May 26th! Any comment helps, but detailed and substantive comments help the most. In particular, I don’t imagine the administration cares much about experiences in the wild and anecdotes of natural beauty; instead, they have explicitly solicited comments on (among other things) whether the monuments are larger than they need to be and whether they contain features of sufficient historic or scientific interest [more]. Good comments should address those questions explicitly. There is an excellent collection of talking points assembled here on Facebook, and another fine collection is in progress here. If you need catching up on the issue generally, Modern Hiker has an excellent run-down with lots of good links. Please feel free to lift whatever may be useful fro my comments below! And please check back or follow me on Facebook as I post additional comments on other monuments. I am writing to express my strong support for maintaining the status and boundaries of Bears Ears National Monument as currently designated. I have camped, hiked and backpacked in the region many times, both as a child and an adult, and I am quite familiar with the landscape and what it contains. The abundance of high quality archaeological sites in Bears Ears clearly marks it as a region of world-class significance, and the fact that visitors can explore these sites in a remote and undeveloped setting of spectacular geology and great beauty sets it apart as unique in the U.S. Preservation of archaeological and geological resources of such quantity and quality is clearly an appropriate use of the Antiquities Act. Regarding the size of the monument, I will reiterate that the opportunity to explore such archaeologic resources on a landscape-wide scale in a backcountry setting is unique in the U.S., and the monument’s substantial size is key to preserving that opportunity. It is common when wandering cross-country in the region to find artifacts and ruins not marked on any map. Protecting Bears Ears’ resources is not a question of protecting just a few well known sites, but rather preserving the countless less known sites in between. It is also worth noting that the monument’s acreage as designated is significantly smaller than what preservation advocates had proposed, and is comparable to the acreage proposed in Utah Representative Rob Bishop’s Public Lands Initiative. Several areas with high mineral potential were left out of the presidential proclamation. I believe concerns about the continuation of traditional uses of the area by local residents and Native Americans were well addressed in the process of designating the monument. It is my wish to see all responsible use of the area continue so long as such is is compatible with preserving the area’s historic and scenic resources. In any case, these are fundamentally questions of how the monument should be managed, not of whether it should exist at all, and therefore have little relevance to the question of whether Bears Ears National Monument’s boundaries should stand as designated. Those of us who closely followed the years leading up to monument designation know that there was no shortage of debate and opportunities for the public to weight in. Protection of this area has been an issue in the public eye for decades. There is of course disagreement, but it is very clear from polling, public statements and public comment that many Utahns, local residents and local tribal members enthusiastically support the monument, together with many thousands of other Americans. Finally, let me conclude by saying I would ideally wish that the Bears Ears landscape could simply be left alone. But benign neglect is not realistic in our day and age. When I was young, one could hike for days or return for several visits chasing rumors of good ruin. Now one can find detailed directions in ten minutes on the internet. With such an increase in information and visitation, it is long past time that land managers take a more active role in protecting this landscape. The Bears Ears region seriously needs major increases in visitor education, resource monitoring and above all law enforcement. Please allow the monument designation to stand as originally proclaimed. (vii) such other factors as the Secretary deems appropriate. 82 FR 20429-20430 (May 1, 2017). They didn’t listen to any locals who live there when making the decision. The local Navajos were against it, the local ranchers, perhaps all the locals who lived there. Instead they listened to out of state Tribal Chiefs and environmental extremists. There should be a law passed that the Federal Government shall own no more than 49% of the land in any state. That is very generous, in UT well over 70% of the land has been spirited away by the government. It is robbery. Donald Trump’s executive order, a review of designations under the antiquities act of 1906. I have nothing against preserving special lands for purposes of wildlife and natural beauty. However, personally I feel the Federal Govt. should not be allowed to own more than 49% of the land of any state. 70+% in Utah, is just too much. This is a good first step in the right direction. Nonsense, Rex. There are locals who support the monument, including Utah Navajos. “Out of state tribal chiefs”? That would be tribal members from just over adjacent state borders. And that Federal land in Utah was always Federal, Utah relinquished its claims to it when it became a state. 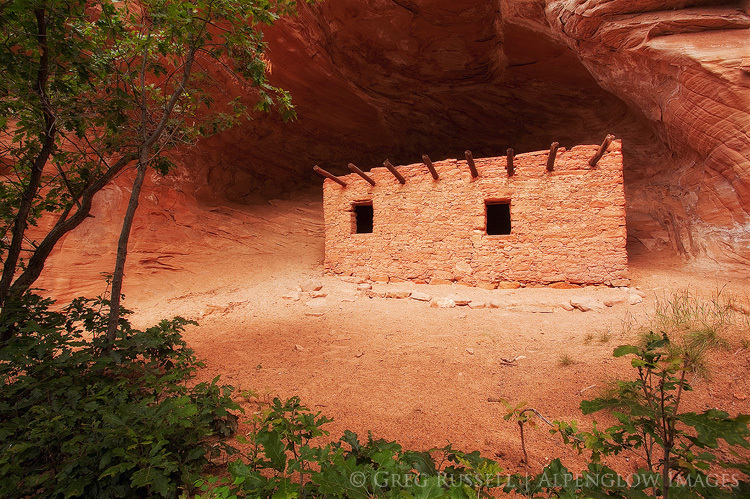 The only Utah lands that have been spirited away are the ones that have been irresponsibly developed or sold off. Frankly, the beauty of Federal land is that I get a say in the management of places I’ve been visiting all my life, regardless of the coincidence that I don’t happen to live within certain arbitrary state borders. I’ve lived and/or worked in almost every state in the west, including Utah, and I believe my voice should count for something. Federal management may be convoluted and bureaucratic, but the lack of transparency, short-sightedness and corruption I see in state land management inspires no confidence whatsoever. You’re entitled to your opinion, of course, but given your views of Federal land, this blog and my photographic work are probably not to your taste. Please do not troll me with common boilerplate talking points and quotations from executive orders of which I’m well aware. Thank you for taking the time to reply. Well, honestly, if you had to deal with the population being crowded into a few Utah valleys right down I-15 and the inherent smog every winter you might think differently sir. I’m sure you will say that is an entirely different issue altogether and we should be cutting back on gasoline consumption or pioneering some technology that is not yet entirely available. Maybe we should do something in that direction but I also feel if people had the right to own private property in Utah outside of a few corridors, our growing population would have a much better chance of being managed in a more responsible way. I posted Mr. Trump’s executive order for the review of those who might not acknowledge the details. I find there is nothing better than to quote from the horse’s mouth and if you want to obfuscate that, you are welcome to do so. You are the one who knowingly and admittedly posted a link to talking points as outlined in the language of your own post. I subscribe to your blog because I enjoy your photography, not because of any particular brand of political views. I remember complimenting you on a nice photo of Notch Peak. Good day sir, carry on. Sorry to have to use pointed language but I feel it is my duty to speak up, as do you. Sorry about that divide. Fair enough, Rex, and I do appreciate the measured response. And I’m sorry if I misinterpreted your posting of the EO. I would not be surprised if I end up living on the Wasatch Front in the not-too-distant future, so believe me, I do think about that stuff, even if I come to different conclusions. Good day to you as well, and I mean that! Take care. Speaking broadly, I have thought for a long, long time that some sort of review on the administration and jurisdiction of public lands was in order. For most of the 20th century the NPS administered national monuments alongside national parks. Beginning in the late 70’s or early 80’s that rule of thumb began to get dilute. First the forest service had a few monuments under its control like Mount St. Helens (which is really the first one I can think of). Then, under president Clinton, we got a whole host of new monuments, most of them under the administration of the BLM and even one run by the fish & wildlife service (Hanford Reach). The whole thing is a taxonomic mess. All that to say, some sort of realignment is in order these days. The one aspect of the Trump administration’s review that should be encouraged, in my opinion, is the transference of many properties to the NPS, in order to operate them appropriately. Places like Mount St. Helens, Grand Staircase-Escalante and even Upper Missouri River Breaks seem like natural fits for development as national parks. I know that many may see that as a negative, since that will no doubt result in increased usage. However, more people being exposed to places and seeing their beauty and value will only help the cause of conservation in the long run, I believe. Moreover, sound planning can channel use to a few spots, leaving the rest of these parks seldom used backcountry. Speaking from experience in Yosemite, the infamous crowds rarely venture beyond the maintained paths and nearly the entirety of the park is left wild and unspoiled. In a more focused view, I do think that there has been overreach in some of the national monuments that have been created. While some controversial ones were indeed warranted, like Grand Staircase, other are…superfluous in my opinion and there isn’t a lot of cohesive planning in place for them. I have extensive personal experience with two such monuments. One is Cascade-Siskiyou, which is on the California/Oregon border just north of me. It is a place I have hiked often and can see from pretty much anywhere a couple miles north of my house. There are certainly some notable features there but it hardly seems worthy of a designation that often implies something of greater prominence than that area possesses. Moreover, once having been established as a monument, no development of infrastructure has taken place there in over 20 years. Expanding the monument to the west significantly was considered early on in the Obama administration but it met with near universal local opposition. Instead the monument was expanded eastward, where there are few almost no residents. I am not sure what was accomplished by this expansion, since the area it now encompasses is fairly unremarkable timberland. The area that is truly of particular interest is the western area, where the transition from the Klamath Mountains to the Cascade bioregions is most evident. On top of this, there is a newly created wilderness area (Soda Mountain) which is contained wholly within the boundaries of the monument. This seems to me to muddy the waters as far as what the monument is intended to accomplish. I am not against some sort monument here, but if there is going to be one (as opposed to the wilderness area, which I am in favor of) then there needs to be some development to justify the designation. The same can be said for the new Berryessa-Snow Mountain National Monument. This is down in my old stomping grounds where I grew up. I can’t say how much time I have spent in this area but it is a lot and going back 30 years or so now. The problems with this monument are legion. Chief among them are, like the Cascade-Siskiyou, a general lack of attraction. There are some really neat things in that area, including some great hikes, some good waterfalls and some rugged mountains, but, generally speaking, these are not things that I would have thought would form the basis for a national monument. There are many, many areas in California that are just like or even more interesting. The other great problem with this monument is the host of land owners that are now a part of it. Aside from significant private territory within the monument, there is federal, state and county lands. Even those can be subdivided. The Berryessa area is generally BLM while the Snow Mountain territory is predominantly forest service. The state lands are fish & game, and even University of California. Complicating things further, there are three wilderness areas within the monument (Cedar Roughs, Cache Creek and Snow Mountain). Individually, each of these areas deserve protection, but I am uncertain what the monument adds that the wilderness designation does not already achieve. I can also state with a high degree of personal experience, that the establishment of the monument has ended a large, promising, green energy project in that area. And what is the trade off? I am not sure what the monument actually accomplishes. I am a strong advocate of the conservation of the natural world. I think more of it needs to be preserved. However, I do think the Antiquities Act should be used with more restraint that it has been over the last 25 years. When vast swaths of land are unilaterally declared monuments, it is going to infuriate people and make the presence of those monuments a sore spot among locals and a point of contention between conservationists and those who oppose such things for whatever reason. I believe that designation of monuments should be targeted and specific and followed up with the appropriate degree of development that would be commensurate with some destination being elevated into the ranks of the hallowed group of lands that have been destinations for Americans for generations. Rather than the unilateral creation of huge monuments, I think it would be much better to work towards the creation of national parks and wilderness areas. The same ends will be achieved but Congress will have been involved. In many ways, this will take the contentious nature off the table, since the representative side of the government will have played a role. This can be done before. Large wilderness bills were passed during both the Bush and Obama administrations. The bottom line is that, despite the acrimony that is present in politics these days, there can be some common ground in conservation, no matter what side of the political spectrum one is on. I think both sides create the hostile and intractable state things are in now. It doesn’t have to be this way. Thanks for the thoughtful comment, Bubba! I know you take the issues seriously and have thought a lot about this stuff, so I’m always interested in your observations. Interesting to hear about Berryessa and Cascade-Siskiyou from someone who really knows the terrain – I really don’t know a lot about those areas and probably won’t comment specifically on them. I do feel similar observations could be made about some other monuments on the list. And I agree that the cross-jurisdictional thing and vast differences in management styles of monuments is a mess and really confuses a lot of the issues. But still, many or most of the monuments in question are very defensible. The bottom line is that the current climate is simply not conducive to thoughtful re-imagining like you suggest, and the precedent at stake here unfortunately outweighs the more subtle issues.